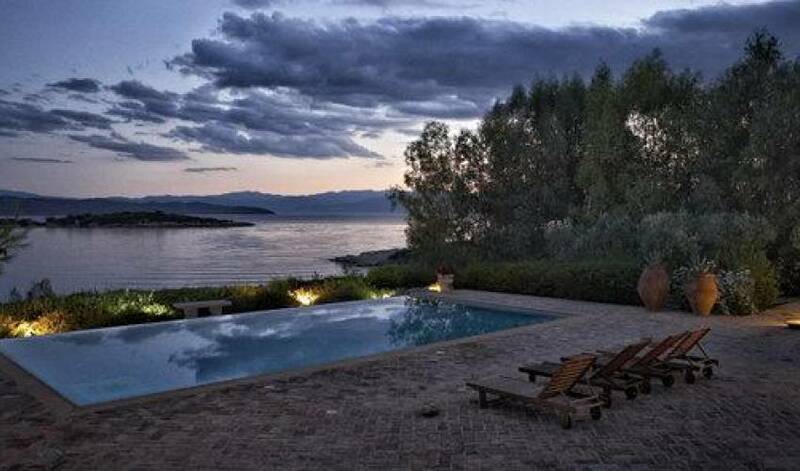 An exceptional property in the prestigious Hinitsa area of Porto Heli, with its own private waterfront with swimming area offering spectacular views of Spetses Island and Hinitsa islet. A narrow pebble beach next to the house is accessible by foot, and is used as a private beach. 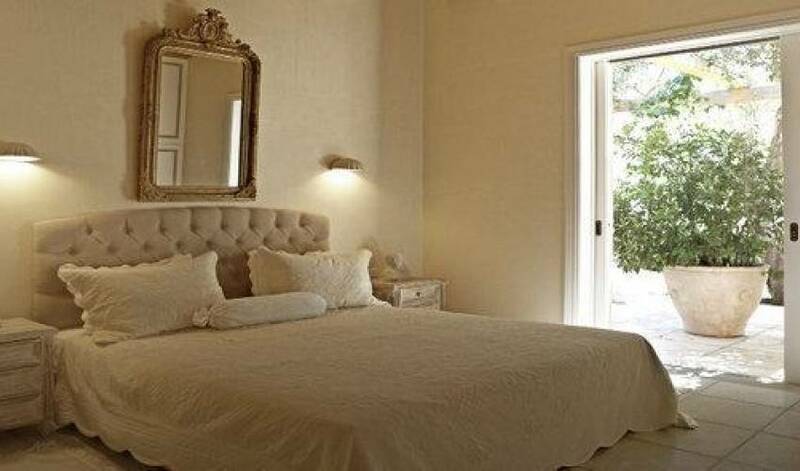 The property provides elegant accommodation; the interiors are light, cool and airy with whitewashed walls, tiled floor and furnishing in neutral colors. Large lawned grounds slope down to the pool with its covered bar area, and then the sea, to which the house has access via a small ladder from the cemented area which is dressed with an umbrella and deckchairs. A long, broad and shallow series of steps allow an easy walk from house to the waterfront. 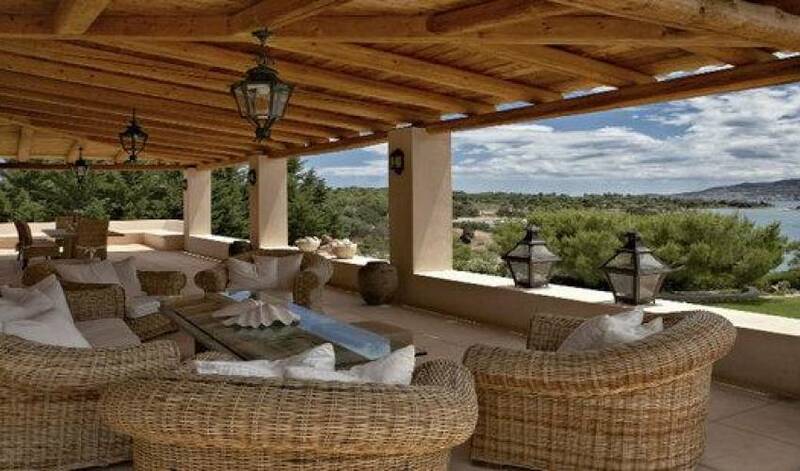 The property has been rented by royalty, and its spacious, well-planned lay- out means that it is very well suited to a large group made of two families. The house consists of two seperate levels, each independant from the other and each with its own entrance, the two are not connected by any internal staircase although they are part of one building). The lower level building is slightly less formal , the living rooms open directly onto the garden rather than the terrace, and is well-suited to younger members of a group. It has 2 bedrooms (plus one bedroom for the staff), along with living and dining area, and breakfast area next to the kitchen. There are also two separate guestrooms, a big one and a smaller one, each one with its independent entrance. 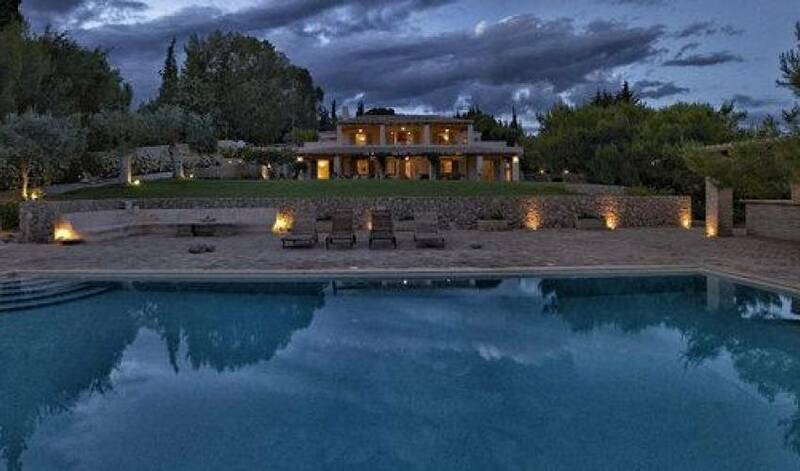 The upper house has 4 bedrooms, (plus one bedroom for the staff), living and dining area and kitchen with breakfast table, and has lovely views over to Spetses. 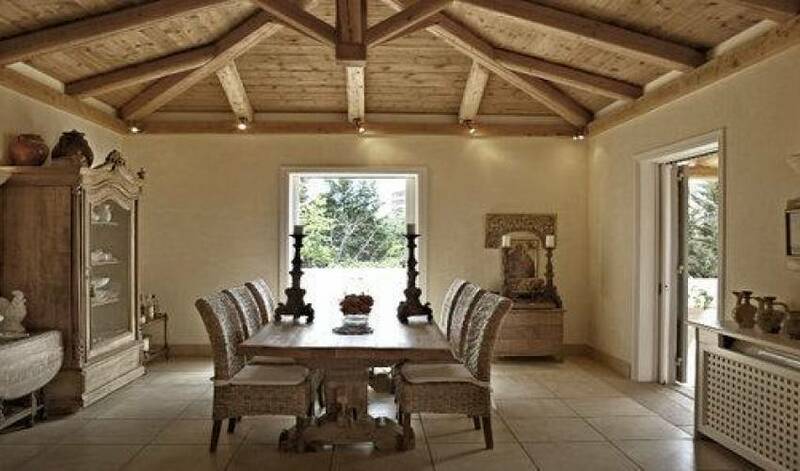 Wooden ceilings, antiques and unique decorative pieces, comfortable modern furniture, large monastery tables make the perfect surrounding for both relaxing and elegant family moments, while the outdoor areas have many different corners to gather together or find a peaceful retreat and enjoy the views. The villa guests can walk to a small beach in the idyllic bay of Hinitsa, from where the sea taxi can pick guests up for a visit to Spetses (10 minutes away), Porto Heli (5 minutes away), or even Hydra (45 minutes away). Entrance hall, living and dining area with direct access to a large terrace. Guest bathroom, kitchen with breakfast area, adjoining bedroom used by the villa staff. 1. Double bedroom with shower-room, dressing area and seperate W.C.
4. Double bedroom to the rear of the house with bathroom. 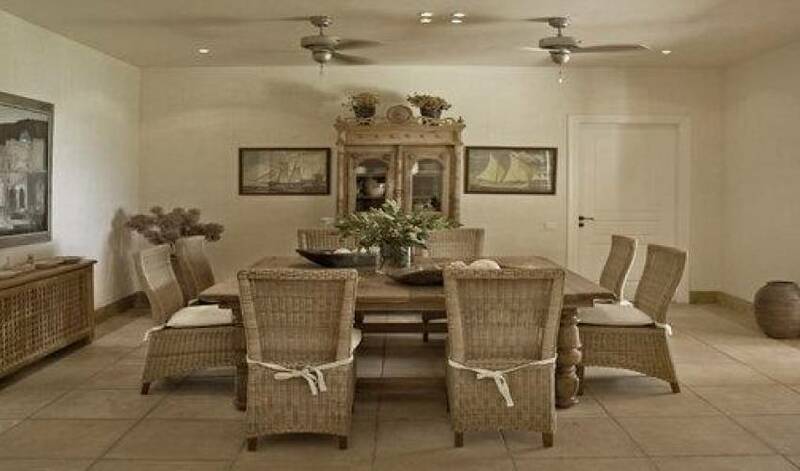 A light and large living room and dining room, three french doors to the large covered terrace and garden. 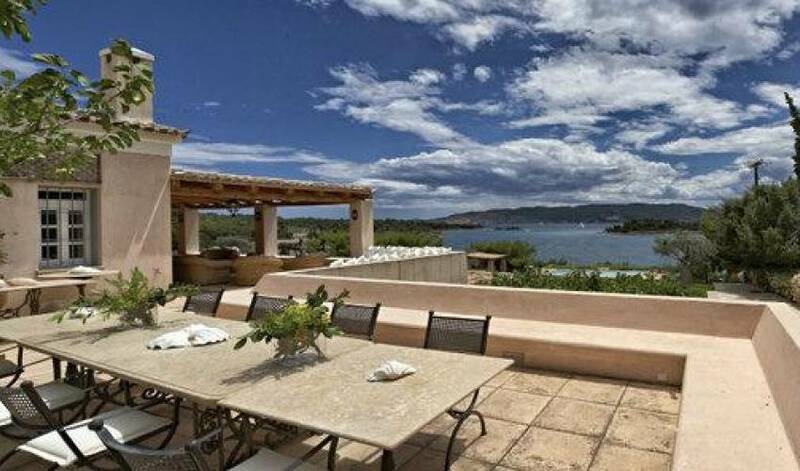 Outdoors: Large terraces with dining and sitting areas, barbecue and garden leading to a large swimming pool and a few steps down access to the sea. Staff: Three live in maids. Cook and assistant can be provided at additional cost.